The highest quality and most detailed kids floor play mat you will have ever seen. This giant 1 x 1.5m children's playmat is designed in the UK and features a safe non slip backing. The car playmat is a great way of keeping the kids busy for hours. 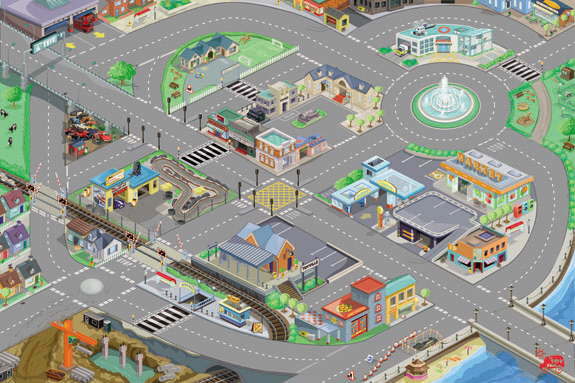 Let their imagination run wild with the city design playmat. Features, road, railway crossings, roadworks, roundabouts, schools, fire station, market and much much more.